Zouk – such a terse little word, yet so tricky to unpack. We’re told it means “party” in French Creole, but what does it mean to dancers? There is so much confusion surrounding it that when someone asked, “Rachel, have you thought about writing a ‘5 Lies About Zouk’ article?” I immediately started work on this very piece. I will admit right off the bat: I am not in the zouk scene, although I have appreciated my encounters with it. I spoke to dancers from several regions and different kinds of zouk scenes in order to put together this together. Particular thanks is due to Jerry Joseph (Montreal), Rachel Meth (North Carolina) Iliana Radneva (New York), and Kati Pan (Arizona) for their assistance. So, let’s examine some common misconceptions about zouk! First off, zouk music is absolutely not from Brazil. It was born in the 1970s in the French-speaking Caribbean, beginning in Guadeloupe. It became a musical craze that swept around the world in the 1980s, thanks in large part to innovative bands like Kassav that played concerts internationally. Artists in several other countries were soon imitating and borrowing from the sounds of zouk – it is well beyond the scope of this article to estimate the impact of zouk on world music. Zouk is also a Caribbean dance style that is, quite logically, danced to zouk music. This zouk usually features a belly to belly connection, with small steps and plenty of core movement. It is not a performance dance but a purely social one, and so has not received so much attention internationally. That being said, it continues to be danced not only in its home region but in every country to which francophone Caribbean people have emigrated, most notably in France, Canada, and the USA. Zouk has also been used to label an entirely separate dance family that does come from Brazil, derived from their traditional dance of lambada but danced to zouk music. While in early years it was called “lambada zouk,” “zouk-lambada,” or “lambazouk,” these descriptors have started to be dropped from the scene as a new identity for the dance is created. Now people attend events simply called zouk festivals, in which lambazouk is used to describe the style of zouk that is closest to its orginial form, in contrast to the newer Rio style. Further confusion has arisen as new artists have been making all sorts of fusion with zouk, so dancers are often not dancing to true Caribbean zouk music at all, but R&B, hip-hop, electronica, and even acoustic contemporary. Braziliian zouk dancing involves larger steps, with connection opening into handhold, and includes much showier turns and styling. As this form has gained popularity internationally, huge numbers of people worldwide have come to associate this word “Zouk” solely with the Brazilian dancing. All right, this is a hairy knot to untangle. In one sense, yes, we can talk about the zouk dances that come from the Caribbean, and the Brazilian dances that have also come to be known as zouk. In truth, there are more kinds of zouk than an outsider could possibly try to describe, although I will give you a quick sampling. Zouk, the original form, is a festive dance shared with everyone in the community, first in Guadeloupe and later in other Caribbean countries. Family members old and young moved to this music, the closeness of the hold varying suitably by relationship. From this form evolved zouk love, a decidedly close dance done in nightclubs. You brought your sweetheart and danced all night with him or her, or you came solo and then found someone you hoped to make your sweetheart. Brazilian zouk is far from being a cohesive form, which can also be pretty confusing, even leaving aside the problematic use of the simple term “Zouk” to describe this family. Most people in that scene separate zouk, meaning Brazilian zouk, into two main categories: Puerto Seguro Style (now being used synonymously with lambazouk) and Rio Style, which includes many variations under its umbrella. These are not related to the zouk danced in the Caribbean. Porto Seguro is the birthplace of lambada. Lambada music and dance experienced a resurgence of popularity in the ’80s and ’90s with the success of the band Kaoma. Thinking back 20 years, Brazilians remember the importance of lambada to the community, with large parties and well-attended competitions. However, the lambada music fad didn’t last, and soon there were few bands playing it. Afficianados weren’t so keen to lose their dance, so certain key people started to move the scene toward dancing to zouk music, whose popularity had proved longer-lived. Rio style can be summed up as a fusion of lambada-zouk with a number of other dance forms, such as samba de gafieira, tango, contemporary, and even hip-hop. The fundamentals and technique differ some from lambada zouk, although it is the primary root. Each sub-genre within Rio style zouk (neozouk, vero zouk, mzouk, soul zouk, etc) has distinct characteristics, although few people dance only one exclusively. 3. Zouk is a sexual dance. This one’s easier: no, it’s not, unless you make it so. I could easily just refer you to my movie-watching analogy from the kizomba “5 Lies,” but let’s consider the particular cases here. Both zouk from the Caribbean and Brazilian zouk dancing involve movement in the core and pelvic region. For many people in non-movement cultures, this is automatically sexually suggestive. Zouk love is undeniably a dance done in the club with a partner to whom you are at least a little attracted. If you didn’t come with your significant other, then it’s one means of flirtation, part of getting to know each other. It should not be confused with grinding club dances, though. Escalation is slow, and both partners indicate their growing interest (or perhaps diminishing attraction) through their embrace and movement. Some Brazilians complain about the foreign sexualization of lambada. I had a brief fling with ballroom dance back in 2006, and my parents gave me a book with glossy pictures and descriptions of a variety of dances. I remember finding the page on “Lambada: the Forbidden Dance.” Apparently this was a common association, thanks to a 1990 film so titled. These days, regardless of which style of Brazilian zouk you prefer, it’s up to you what sort of tone you want to bring into the dance. 4. Zouk is a freestyle dance. There is a misconception that when it comes to zouk, you just do whatever you feel. Let’s examine that for each of the two dance families. Zouk in the Caribbean is not a codified dance. You can’t find a syllabus setting out the accepted steps. There are very few classes you can take. If you search for lessons on YouTube (and manage to weed out all the results related to lambada-derived zouk forms) you will only have a few relevant hits. Still, zouk dancers know what is and is not zouk. Growing up in a movement culture, they learned by watching their elder siblings and friends. There is lead and follow technique, attention to rhythm and also to the meaning of the song’s lyrics. Brazilian zouk sometimes gets labeled a “hippy dance,” what with the lolling heads and hair being flung around. I have to assume such detractors have never tried to dance lambada zouk! My interviews confirmed my own understanding from the few times I have taken classes in these styles – there is very specific technique for everything from body rolls to hair flicks, and it is not at all easy. Not only do you need a very sensitive lead-follow dynamic, but excellent balance and body awareness. In recent years, quite a lot of contemporary dance movement has been incorporated into Brazilian zouk. Although the range of possibilities in contemporary is enormous, I can tell you from my own semester trying to learn this dance form with a bunch of 12-year-olds that it is not just random movement – I found it very difficult to do as well as my classmates! 5. Zouk and kizomba are basically the same. Although my knee-jerk reaction to this one is “Whaaaaaaaat? Have you even seen them?” I do have to admit there are several sources of confusion for the layman. – Musical artists from both genres have borrowed from one another, and plenty of songs exist in the gray area between them. – When people dance tarraxinha, or insert tarraxinha breaks into their kizomba, there isn’t much visually in the way of steps. The close connection and focus on isolations can resemble zouk love. One beginner class from each should pretty quickly clear up the confusion, though! Let me know about your own misconceptions about zouk, or the questions people ask you, by leaving a comment below! The fourth photo belongs to Rachel Meth of Embodied Dance. Want to know more about the evolution of Brazilian zouk? Check out this article by Kim Rottier and this YouTube playlist. M-Zouk is NOT related to Rio-style. It is its’ own separate genre of Zouk. It uses completely different technique, unlike Neo and the rest of the Rio-style variations you listed. Brazilian Zouk is not danced in open hold as a rule. It has a lot of close body contact and body manipulation, although it has more open hold than Caribbean Zouk. Oh interesting, I didn’t realize there were three separate styles. Or maybe more? Are there other styles that claim a completely separate evolution? I did mean that Brazilian zouk can open into open hold, in contrast to Caribbean zouk which doesn’t usually. Not that it is exclusively in open hold. O mzouk anteriormente era chamado de lambazouk, depois foi rebatizado para mzouk. Quando o Carioca Gege levou a lambada para Majorca o nome ainda era lambazouk e a dança ainda não havia mudado totalmente para o estilo do Rio. Eles mantiveram o rebolado de Porto, por exemplo. É uma mescla, mas tem muito mais afinidade com o zouk brasileiro (lambada carioca) que com a lambada de Porto. Quick precision Guadeloupe and Martinique are French regions actually. So zouk is part of France culture even if some french people don’t admit it… It is. And also caribbean zouk can be mix of so many different musics such as sega, dancehall, reggae, kizomba (you said it), rnb, hiphop etc. And you can dance it with whoever you want, attraction or not. It’s just about dancing. If not our parties would be very boring. And it’s anything but boring. Of course sometimes it’s a way to flirt but not always. You’ve got as well retro zouk which corresponds more to the period 1980 to 1995-97. Some artist of zouk retro sing now zouk love or ghetto zouk and work with youger artists of different scenes. Anyway thanks for the precisions. It’s frustrating when you know creole zouk and it has been your culture or part of your history to hear that it is from Brazil. Lots of thoughts here, great! While France may claim Martinique and Guadeloupe, I hardly think they can then take credit for everything their overseas possessions create culturally. We may say zouk has become part of French culture thanks to being imported from the Caribbean and becoming popular in France, certainly. While I agree that you can dance zouk with anybody, my impression is that you would not dance zouk love with your brother or grandmother or someone you found repulsive…maybe I’m wrong? I can tell you that zouk is part of France culture. Guadeloupe, Martinique, Reunion Island, French Guyana … Are still French. And artists like Kassav, fight and work to make zouk recognised as French culture. I know that it sounds weird but these little countries are part of France with the same president, the same law, ok not exactly the same economy as they are far away, but even educational system is the same it’s one country at the end of the day. Creole food is part of French gastronomy too. Also you can perfectly dance zouk love, zouk retro etc with your family. Just the degree of proximity or intensity in the dance will be different. What I mean is that they are different way to dance zouk. On the same music my parents won’t dance together like I would dance with my boyfriend. And I won’t dance the same way with my cousin but the rythm, the steps etc will be the same. 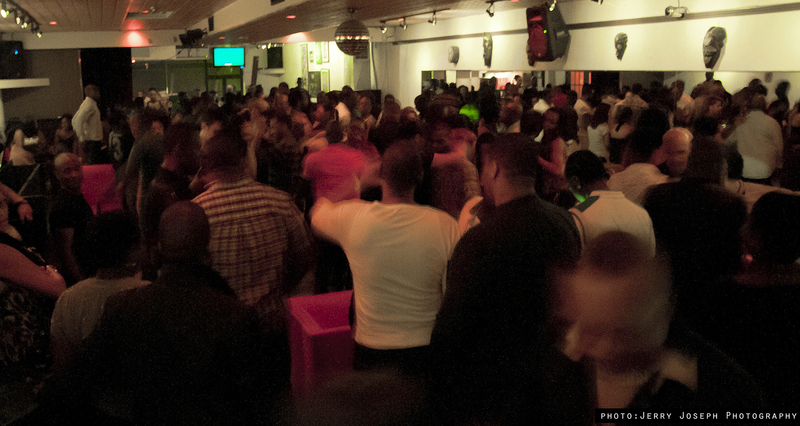 It’s not because Martinique and Guadeloupe are part of France that zouk is part of French culture. For example Canada is part of the common wealth of Great Britain, Poutine is a typical dish from Eastern Canada, but it doesn’t make it British. Well in France the country itself the French Caribbean community is huge. They are French they dance zouk. And I will add that not only French Caribbean people dance and sing zouk. Moreover artists like Jacob Desvarieux, big figure of creole zouk, works hard to get zouk music recognised as part of the French culture. But I agree with you for Canada. Thr issue is that commonwealth doesn’t work like the DOM TOM … Those DOM TOM are French. There’s always a polemic ariund it but so far so good it is French. When you say “Zouk is from Brazil” is a lie, do you mean the dance of the music? Yes the music is from French Caribbean. But the dance we all know and love was created by a Bazilian couple Adilio Porto and Renata Peçanha. I guess I would have to refer you to my 3 paragraph response above – both the separation of music and dance and the disambiguation of the term zouk as it refers to different dance styles. Paragraph 3 explains the link with Brazil. Great attempt in enlightening anyone that will come across your article! You really have done some research, not necessary complete, but really rich to help clear some misunderstanding and educate those who want to learn or at least cause in them the desire to research by themselves what’s what. I think it’s a problem that festivals put kizomba and zouk in the same room. 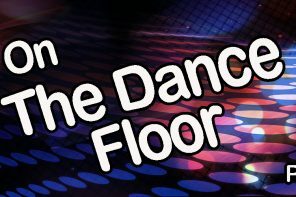 Sure they share some of the same music, but the floor dynamics are totally different. With kizomba, although you have to look out for other dancers, it’s no big deal if you bump gently into another kizomba couple, hence followers can feel relaxed enough to close their eyes sometimes. However if you crash into a zouking couple in full flight, that could hurt! So you can’t relax enough. Likewise for zoukers, they have to look out for backward moving kizomberars. So I think the festival orgnanisers should ideally split the kizomba from the zouk, mix in some bachata instead. Also I hate seeing kizomba danced to slow modern zouk remixes (yes I have seen this attempted!) or zoukers struggling to keep up with traditional fast zouk music which is better suited to kizomba! I totally agree. 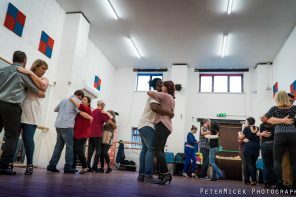 If you are putting Kizomba and real Zouk (the Caribbean one) in the same room it is totally acceptable because both genres of music and way of dance are similar, although Kizomba has more complexed steps, the basic step are the same. Putting Kizomba and Brazilian Zouk in the same room makes no sense as they are dances completely different from each other. The two do not go hand in hand, it’s only on festivals and events where organizers that do not know how apart this two dances are that this happens. Cape Verdeans, Angolans, Mozambicans, Portuguese do not dance Brazilian Zouk or have interest on it, so goes for Caribbean people for that matter. I mean, why would we dance a totally different dance to our music if we have our own dance? Just a slightly correction: The birthplace of Lambada is Pará, north of Brazil. Porto Seguro is the place who made Lambada more known and popular. Oh interesting, I didn’t find that in any of my research! Do you know where I could learn more? “Pará” is hard to find in connection with Lambada, at least online. Great article adressing a sometimes somewhat emotional topics for a lot of (Brazilian/ Lambada) Zouk dancers and enthousiasts. I like the way the article tries explain this dance by searching for facts and historic elements from different perspectives. There have been quit a few attempts to try and untangle the hairy knot of connections, evolutions and origins of the dance, which unfortunaltely sometimes lead to heated discussions while the dance is/was such a unifying one. Luckily articles like this try to positively contribute by offering a more helicopter view approach. A few books on the dance have already been mentioned in the article. In addition to paragraph 4, I would like to mention that since 2012 the basics (!) of the dance has been codified in word and image in the syllabus “LambaZouk – The Technique Book”. It was written by Patricia Rezende and Claudia de Vries and the dance has been registered and documented at the UKA (United Kingdom Alliance of Proffesional Teachers of Dancing & Kindred Arts). The syllabus describes (part of) the history and the basic techniques of the dance that are common to the original form(s) before it gets split up into the different styles and evolutions. The goal is to preserve the origins of the dance before it gets lost in the ever growing and very natural evolutions in styles and names, while trying to re-unify the scene and providing a good technical basis for those who would like to learn the dance and choose their own route in the scene. Hello I read though your article and found it very informative. I just wanted to know if you know of any places that teach the carribean zouk dance. Everywhere mainly does the Brazilian one..
Hi Curtis, I actually don’t. I think that mostly people learn zouk from family, friends, and their community. I got my first zouk lesson from a few people in a NYC nightclub that was having a zouk night. Brazilian zouk is definitely more commercialized and in the studios, which is part of why the name so quickly became more associated with the style coming from Brazil. If you’d like to learn, I recommend going to a music venue or festival that will be playing zouk music and talking to the people you meet there. Zouk originated from Compas which was created by Haitian artists in the 1950’s. The word Zouk was also first used by Haitian Compas artists!. Get your facts straight! Brazilian Zouk Rio de Janeiro Style is a couple dance that is coming from mix of Lambada / Bolero / Samba de gafieira / Tango / salsa / hip hop and others inspiration …. The name Brazilian Zouk is used to distinguish the dance from the Caribbean Zouk dance, which is historically related to, but very different. The 2 dominant lines inside of Brazilian Zouk are Zouk (Zouk Rio Style) and LambaZouk ( Porto Seguro Style ) and we have anothers ways to dance our Zouk ( Zouk Rio Style ) with different styles let me try to explain you. Jaime aroxa brought lambada to Rio de janeiro in 1988 the sucess of this dance was great . We had so many places to dance , we have so many people at old ( Roxy Roller da Lagoa) the biggest dance place of lambada in Rio de janeiro , was amazing place with more the 2000 people dancing lambada . We had 3 special groups of dancers in this time , jaime aroxa students , Carlinhos de Jesus students and a favela …. yes Favela was one small group of dancers that called Lamba 7 ( Aipim / Mandioca / Plinio / Pinguim / Felipe / Buiu / Adilio Porto) my name in my group was captain Bolero because they already saw that i was not dance only lambada , hahahhahah , i was dance already one mix of lambada and ballroom dance Brazilian , of course that my lessons of ballrom dance with jaime arouxa already start to change my dance . After the big sucess of lambada in Rio de janeiro , where we had alot of lambada places amd many many dancers, start to be difficult to dance lambada because so many things happend and so many people stop the only place that we had was Ilha dos Pescadores . Zouk Rio style was first developed in Ilha Dos Pescadores in Rio de Janeiro around the mid 90’s when Lambada songs stopped being composed and we start to use gipsy king songs and Zouk music .Adilio and Renata was teachers at Jaime aroxa dance school and dancers of Bolero , Samba , salsa , Tango , Ballet and Lambada , so after jaime aroxa stop the teach Lambada , they start to teach this amazing mix of dances and they start to call the Zouk and the first lessons of this new dance was developed and first taught by Adilio Porto and Renata Peçanha Full in Brazil’s most famous dance school Jaime Arôxa. 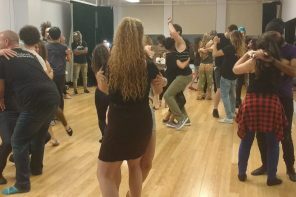 They danced to the slower music of the Caribbean Zouk , Gypsy kings and some others sonhs similar to hip hops and rnb songs .this making it easier to learn and vary steps, moves, patterns and combinations. The characteristic steps that were created are the basic step going front and back (from Samba de Gafieira), the opening and lateral step (from Bolero), elastic and bonus (also called boomerang in Europe). Viradinha , Raul ,Soltinho and others steps. Since adding lots of new steps and changing the characteristics from Lambada, a new name was given to this dance, another things that made Adilio and Renata change the names was because the real dancers of lambada was not more accept that adilio and renata call this dance of lambada , because was already another dance and as well because the music that was playing at ilha was Zouk , alot of dancers start to call the dance the zouk .the name give was originally ‘Zouk Love’, later just called ‘Zouk’. Today we are calling the Brazilian Zouk for not have problems with the zouk dance of France, Martinica and Guadalupe has changed the name has been given to the dance that was first tought by Adilio and Renata in the beginning of the 90’s, which is now didactically used all over the world. Unlike salsa, which is led with the hands, Brazilian zouk is led by more parts of the body. Sometimes, in a basic sideways movement, it is the hips that move first, followed by the rest of the body, and this is part of what makes the dance so sensual. However, in various moves the dance partners are also connected by eye contact, legs, arms, shoulders, head, etc. When practicing zouk in dance classes, teachers generally warn women to be very careful with their backs and necks, as two of the most distinctive and commented-on movements are the cambré (arching backwards to a greater or lesser degree, sometimes even below the waist) and the specific ‘hair movements’ or ‘ head movements’ for the woman. If not done properly this could lead to injury. 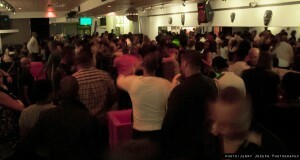 Zouk Rio Style got really strong outside of Brasil more the 50 countries and almost 200 cities are dancing …. LambaZouk, also called the Porto Seguro-style, is often thought of as the evolution of original Lambada, although in its current iteration it has divulged far from original Lambada. This dance is characterized by high energy (energia) and feel good attitude (alegria). Although it is a fast and energetic dance, it flows smoothly and the moves are continuous and rhythmic, and dancers follow circular (and to a lesser extent slot-style) movements as they relate to each other. One way in which the present LambaZouk differs from the original Kaoma-like Lambada style, is that they have removed wiggling shoulder movements (also sometimes seen in Cuban-style salsa). Instead the shoulders are kept fixed while the hips move (swing) to create a sensual effect. A number of movements have been added to the modern version of this dance mainly created by Didi Santos of Brazil. The original Porto Seguro style is also unique in the way steps are performed to music (in this sense it is closer to Lambada). Here, the steps are performed with equal emphasis (same amount of travel) on strong beat and the two beats that follow (including the pause after the strong beat). This is done specifically to facilitate musicality by matching sharp movements (Chicote and Cambre) with the strong beat. When danced this way dancers fluently incorporate sharp movements to accentuate strong beat without stopping the dance (pausing to catch up). Even though this timing is popular in LambaZouk it is by no means exclusive. Many LambaZouk dancers also dance by taking longer step (or turning the follower) on the dominant beat (like Traditional Zouk). It is also a common practice to switch between the two timings within the same song (by doing multiple contra-tempo turns for the follower). For comparison on timing, Traditional Zouk emphasizes strong beat by having dancers take a long step on the strong beat. In LambaZouk style (as explained earlier) a popular way is to step equally (length-wise) on strong beat and following two beats. This creates continuous movements. LambaZouk is danced to rhythmic, up-tempo music (tempo is generally fast or medium, rarely slow), whereas Traditional Zouk is more suitable for slow tempo music (often with long pauses). Kizomba music is very popular in LambaZouk owing to its rhythm and pace. Because the music faster, and head movements are more sophisticated and done more often, dancing LambaZouk requires better technique and timing in order to perform head movements without injuries. LambaZouk is mainly danced in Porto Seguro, São Paulo, Belo Horizonte, Argentina, Spain, UK, Israel, the west coast of the US, Japan & recently also in Malaysia. LambaZouk is also evolving to include more modern movements. It is also not uncommon (lately) for dancers to switch fluently between these dancing styles during a single Zouk music song. Neozouk – : it’s a of Brazilian zouk, that aims to show different trends in zouk , created by Mafie Zouker ( Student by Adilio & Renata), where the gentleman uses his lady as inspiration to conduct his dance exploring every articulation, to define each movement, the difference between conduct and respond is in the direction in which the movement occurs, because there is times when the lady induces the gentleman to a different path , continuing the movement. Soulzouk – was developed in 2005 by China Soulzouk ( Student by Adilio & Renata) a teacher from Rio, Brazil. Soulzouk, (also called “zouk freestyle” by the inventor) differs according to China from Brazilian zouk in the way it connects with the music. The Soulzouk dance style is, not only based on the pace, but also on the melody of the song. It can be danced to zouk music, but it is also taught to be danced with a variety of other musical genres, like rap or RnB, that don’t have the zouk beat. We have others new styles from amazing dancers like Renato Veronezi Full , Bruno Galhardo , Jefferson Dadinho , Xandy Liberato that i will try to get more informations from than to write here. Wow, thank you for all of this great information Adilio! I would be very happy to interview you and learn more. Despite some criticism from others, I think this is a great article. It’s pretty hard to know all the facts & then summarise them, especially coming from outside the community (in general). Even inside the community, there are misconceptions & differences, so you’re never going to be able to write an article that is 100% correct. Let’s face it, one person’s facts can be someone else’s fallacies. So well done I say. Thanks, Jason. I certainly didn’t write this as an authority – I just used the knowledge and experience of those I interviewed. I actually joined the scene only a few months after writing this article, and I haven’t found it to be one that emphasizes education about the history of the dance or clear definitions of styles within it. In three years of classes, private lessons, and international festivals, I haven’t learned anything that contradicts what I wrote in this article, except that Rio style was more deliberately developed than what I suggest here. And Adilio’s comment back in 2018 offered way more detail than I had ever heard elsewhere. One of the most interesting article about the different genres of Zouk. I’m Guadeloupean, grew up in Guadeloupe but living in Paris now. Sorry for my English, I’m not bilingual. I was young (about 12) when Kassav released their famous album (Zouk la sé sèl medicament nou ni), marking the beginning of Zouk music. I agreed with you about all the points you dealt with. Concerning the Brazilian Zouk, I don’t know it well enough to have my own point of view. It’s why your paper was interesting for me. My first experience about Brazilian Zouk, was when I came across a video on Youtube showing Brazilian dancing Zouk (as it was entitled). I put a comment under the video, and said the guy the song is very nice, but that’s not Zouk at all ! He answered me that it’s really Zouk music. It was weird because the song was a kind of R&B, trip-hop music. Nothing to do with Zouk music. Instruments, rhythm, no link with Zouk. Reading your paper, now I understand what might be happened. In the beginning, they have mixed Zouk with Brazilian music. Then, after artistic experiments, this music turned to a sound very far from Zouk. So, this could be lead to a big confusion for neophyte. I don’t care people use the word Zouk for other music, but that is a big problem if the sound doesn’t respect the original Zouk spirit. What I can read in the comments, is that the Brazilian Zouk moves away, more and more, from the original Zouk. Then, I can suggest my Brazilian friends to create a new name for their music, to avoid any more confusion in the future ! Some people do this for commercial reasons or by ignorance. Brazilian have invented Brazilian Zouk dance, not Zouk dance ! For what I could read, it’s a different concept. If you talk about Brazilian Zouk, say Brazilian Zouk, Lambada Zouk, Lambazouk, or whatever, but not Zouk ! That’s funny when you said that Zouk is not danced with open hand, usually. That’s true. However, in the early beginning, most of people used to dance Zouk into open handhold. Dancing into closed handhold was with your girlfriend, in a more romantic attitude. But, pretty quickly, people have abandoned the open handhold (especially when the first Zouk love songs appeared). I don’t understand the Ama’s comment. Guadeloupe/Martinique are part of the French nation. But our culture is very different (even, of course, has been influenced by France). Concerning Zouk music, I can’t see any influence with French music. Really nothing. But Sam’s opinion, it’s only his own opinion. Never read any serious researchers confirming his “theory”. I don’t want to make a fight between Guadeloupe and Martinique. That’s not the point. But the Guadeloupe contribution in Zouk music was and is far more important than Martinique contribution (A good estimation could be 75%-25%). You can find good musicians in the both islands, but Guadeloupean are more inventive in music. The main contributions of Martinicans, are the name Zouk itself (some researchers said it came from martinique), and the insertion of “Ti bwa” rhythm. In a similar discussion, some Haitians are used to say that Zouk came from haitian Kompa. It’s a part of haitian Kompa music. That’s very usual to read it in some dedicated forum, spread by members of the haitian dispora. Just have a look on the 6 first Kassav albums. I challenge you to find Kompa music inside. That is a mix a Guadeloupean carnival, Gwo ka percussion, electronic instrument. After that, you can hear more influence of Kadans music (a derivate of Kompa). A good idea with GEORGES DECIMUS “Moune La Fait Moin Di”. At this point the sound is turning to the actual Zouk music (in the rhythm, the chorus, the instruments, the arrangement, the style, the spirit). You can hear the “Mendé” rhythm (from Gwo ka) at the end of the song. However, Kompa have had, for sure, a positive influence on Zouk music, has Kompa was the main dancing music in Guadeloupe/Martinique in the 70’s. But more through Kadans (a derivate of Kompa) than through Kompa itself. Be influenced, doesn’t mean Zouk is based on Kompa. I’m not a secialist of Kizomba. Most of time when I hear a Kizomba song, I conclude it is Zouk. No difference at all. People might say it’s not Zouk because, the singer use Portuguese instead of Creole or French, as usual for Zouk. This is just my little experience of Kizomba. I’m not a specialist, maybe I should not generalize. It seems that one of the parent of Kizomba is Semba from Angola, but I didn’t catch it in the music I’ve heard for the moment. I am open at discussion at this point. I would be glad to improve my knowledge about Kizomba. The most interesting point about Kizomba is the dance. Very nice to see, and I suppose to dance. Zouk dance is less technical (I mean the Caribbean Zouk dance not the Brazilian one). As you said, people don’t really take lessons to learn how to dance Zouk. Just see your family or friends dancing, and imitate them. There are 3-4 tricks to master to become a good zouk dancer. I can encourage you to publish on Wikipedia : their Zouk article is poor and incorrect. We can guess this is a Haitian wrote it, since his unique goal is not to talk about Zouk, but to promote Kompa. The French Zouk article on Wikipedia is more reliable.